The American Women’s Youth Team will attempt to close out a highly successful for Team USA women. The senior side took home three titles in a row summer culminating in a FINA World Cup gold medal last week. 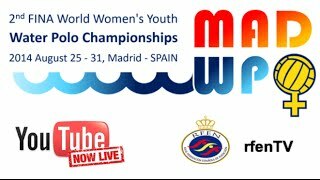 This week their proteges on the 18 & under squad will attempt to bring home its own title against the world’s best in Madrid. Programming, streaming, and US roster details are below. Check back with us as the competition progresses.